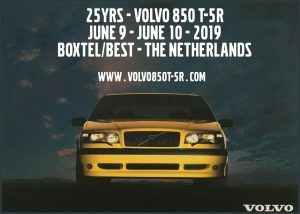 After the introduction at the motor show in Geneva in March 1994, Volvo started production of the T-5R in May 1994. That is 25 years ago this year. Time to celebrate! With the overwhelming success of the 10th and the 20th Anniversary of the T-5R in mind we are glad that we have the honour to organize the 25th Anniversary party for the T-5R owners. This year the event comes in two parts. 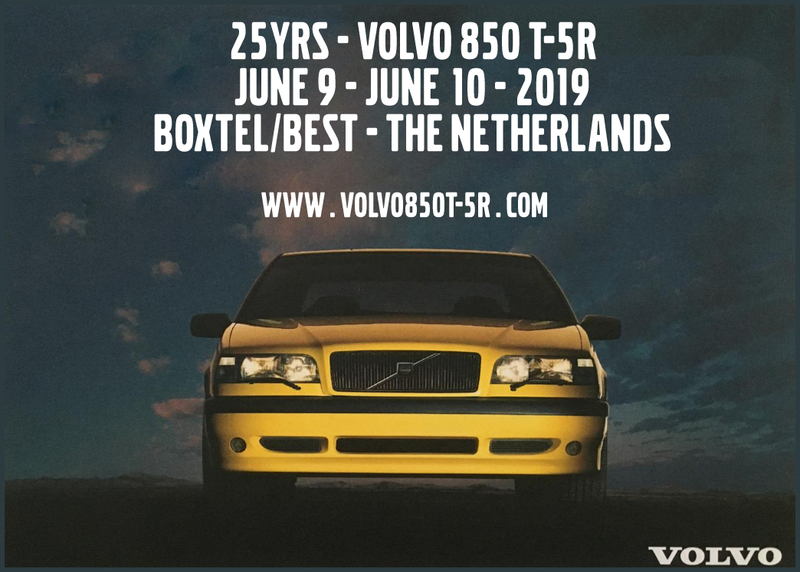 On Sunday, June 9, we’ll gather in Boxtel (the Netherlands) with our cars, we’ll discover the beautiful southern part of the Netherlands and end the day with a tasteful Barbecue. 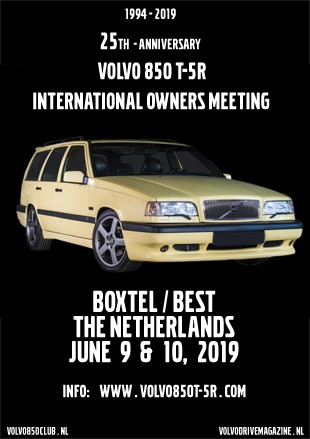 On Monday the 10th of June we’ll join over a thousand other Volvos at the annual Dutch VolvoDrive meeting in Best (the Netherlands). A large part of the main field is reserved for our Black, Green and Yellow beauties. All lined up colour by colour. We bet this will result in the biggest T-5R line-ups ever! We are looking forward to this… and we hope you will too!